Google Chrome has changed the market since 20161 and has been the top most used browser by the Desktop users. With many advantages as part of Chrome, the Chrome Extensions add another level of ease to the users. Google Chrome offers hundreds of extensions and many of them are designed to help users with their work. These extensions are designed to enhance the usability and experience of the services that a user uses or just the web browser itself. These apps are installed within the web browser, are comparatively smaller in size and can be easily removed when not required compared to other desktop apps. To find them, go to browser menu->more tools->extensions->get more extensions. Salesforce is a leader in the CRM market and is widely used by users across the world and therefore can be understood that many people will be using Chrome for this. The Chrome Extensions for Salesforce can help in many ways and in many scenarios and will be an easier way of collaboration or communication within a Salesforce org or it can be useful for fetching information from different sources and sharing it with peers and on… The list can be very comprehensive and this is a very good opportunity to further enhance the capabilities of some of the advance features of Salesforce. This extension is created for the collaboration of the company and is used widely by the internal users to share their findings or any interesting topic or search that any user has found on the internet. 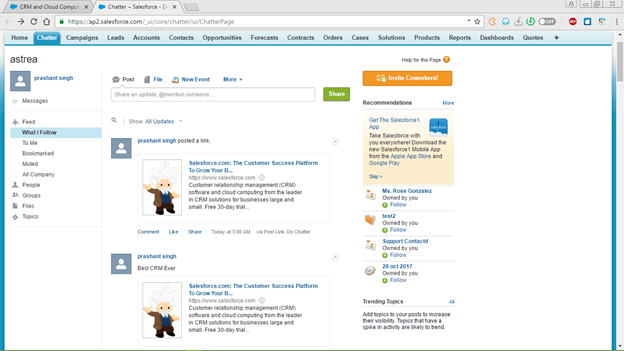 It syncs the user Salesforce and Chatter and gives a popup to share information with a user’s Salesforce org in a single click. User can click on the extension icon in chrome and then write description of the information and in a click it will be shared with the other peers as a Chatter feed. Step1. 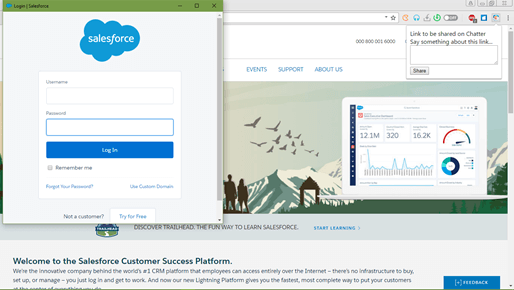 Enter the Salesforce credentials to sync to an org and allow the access to the org. Step2. Write any description or details that should be added in the post and click Share Button. Step3. 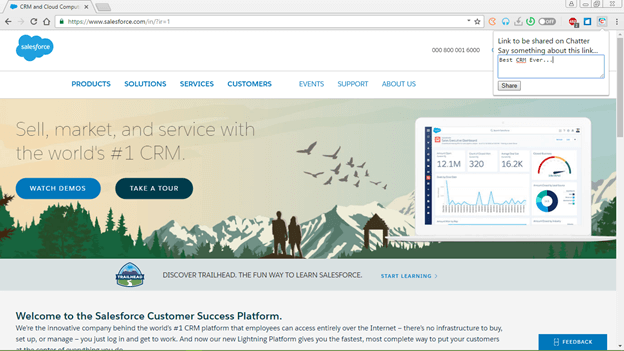 You can access the new post created from the plugin in Salesforce. This extension is used for a more advanced search and focused on the error handling in the Salesforce Lightning. 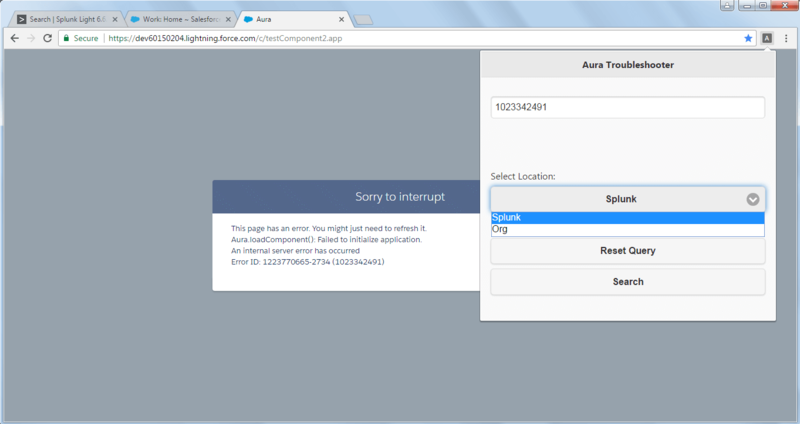 The extension is very helpful for the users and especially the developers working on the org as when the error is occurred in an aura component it provides a error code. The error code is very confusing and of no use unless the developer search for it and decodes the meaning of the error. To solve this problem and save time we have developed this extension that will help the developers to quickly get the error message in a click. 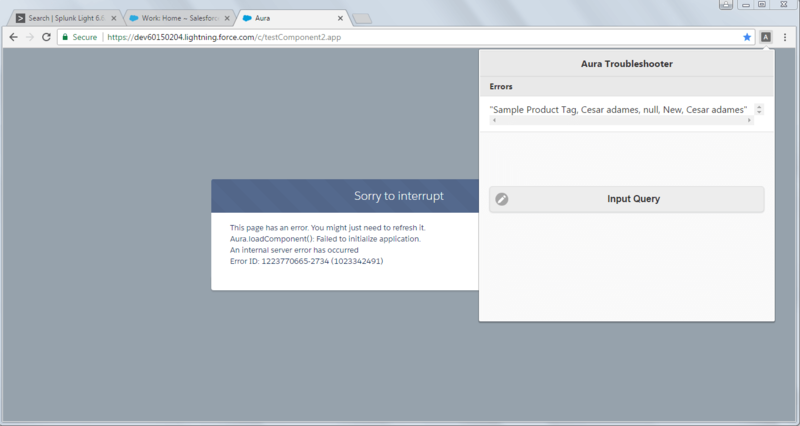 This will work like a error repository and will need the code that is provided from Salesforce and will return the error message corresponding to that code. Step1. 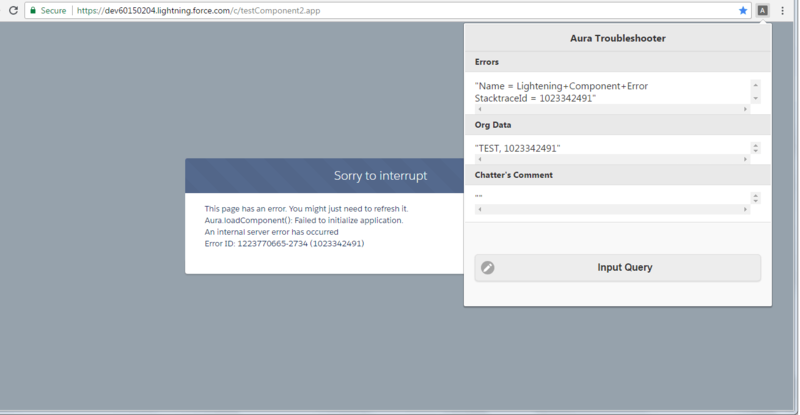 Click on the Aura extension icon and search for the error code. Step2. Error is Displayed and option of searching a new error with Input Query. Step3. Text box to enter the Error code and select location for searching. Step4. Error result displayed based on the selected search criteria.